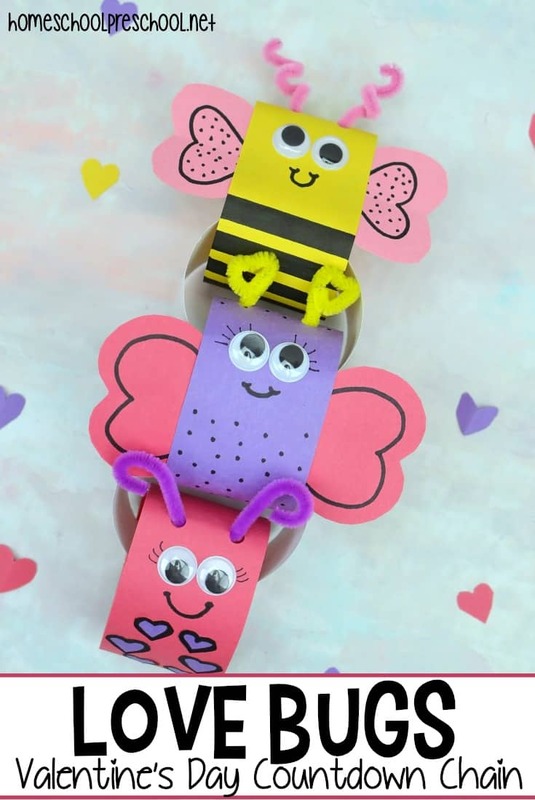 Your kids will love helping you make this Love Bug Valentines Day countdown chain! What a cute decoration that provides a little counting practice, too. 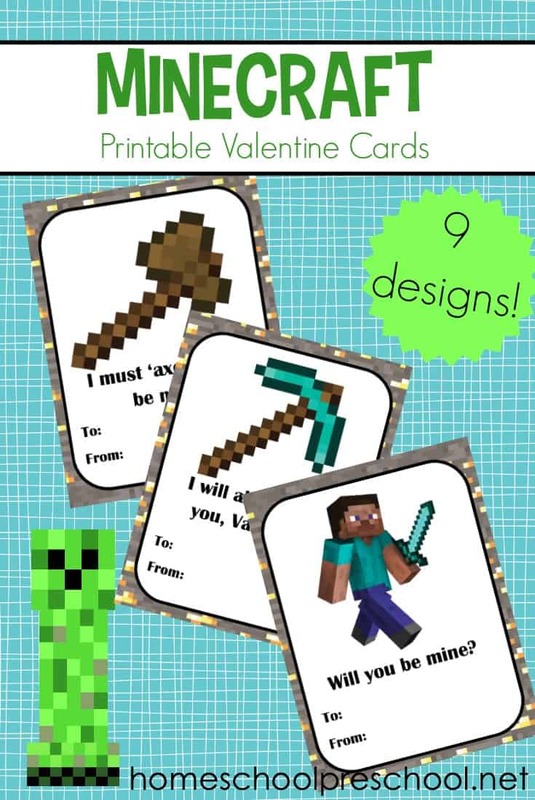 Are your kids beginning to get excited about Valentine’s Day? I’m sure they’ve seen all the holiday decor in the grocery store. Help them countdown to the big day with this fun Valentine countdown paper chain! This craft is easily adaptable for different ability levels. If your kids are too young to draw the heart shapes, let them use stickers. Or, you can draw them and they can color them in or decorate them. Either way, they’re going to have so much fun as they countdown to Valentines Day with this fun paper chain. 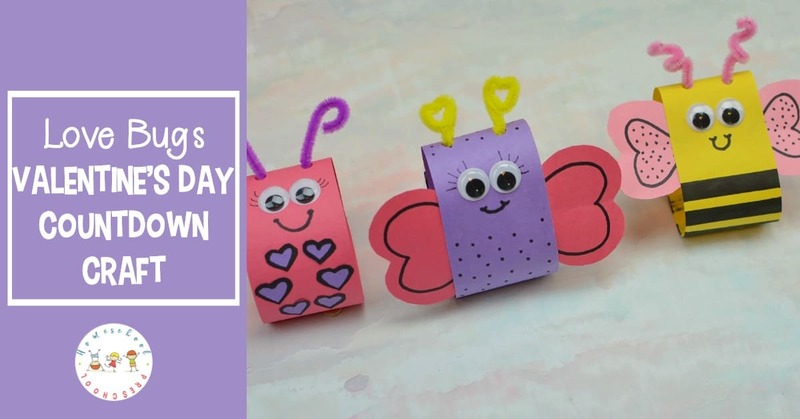 Kids can use their favorite colors to make these Love Bugs. Or they can use traditional Valentine’s Day colors. They’ll love decorating the bugs with heart stickers and google eyes. 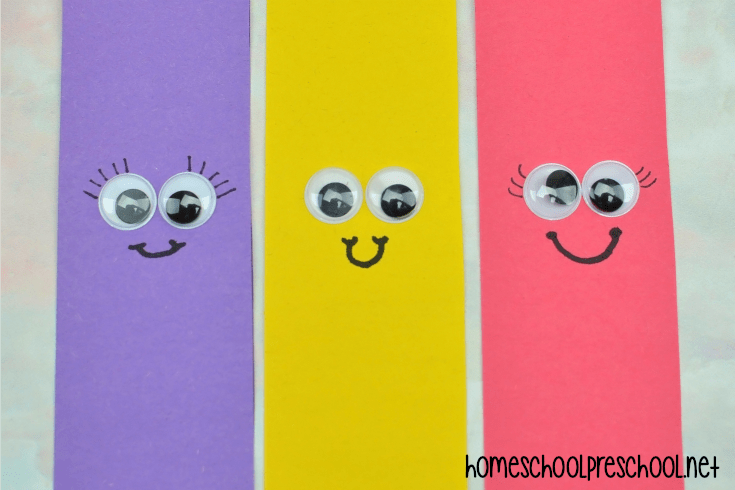 Turn your construction paper horizontally, and cut a 2″ strip down the length of the paper. You can stack the papers so you’re cutting through more than one sheet at a time. Cut as many strips as you need to complete the countdown chain. Add google eyes, eyelashes, and a smile to the middle of all of the strips you just cut out. Cut two hearts out of pink construction paper (or color of your choice). Use a black marker or stickers to decorate the hearts and the body of the butterfly as desired. 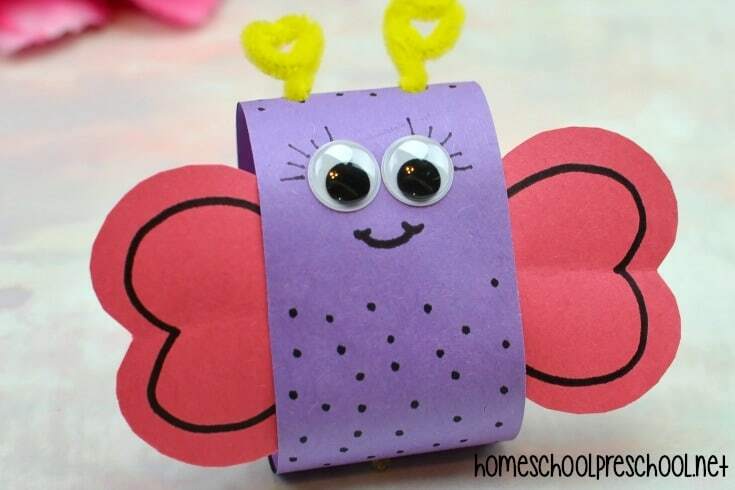 Glue or tape the hearts to each side of the strip to create the butterfly’s wings. Punch two holes above the eyes. Feed a short piece of pipe cleaner through the holes curling each end. This is the butterfly’s antenna. Secure this at the back of the strip with tape. Create a loop with the strip securing the back with a piece of tape or a small dab of glue. 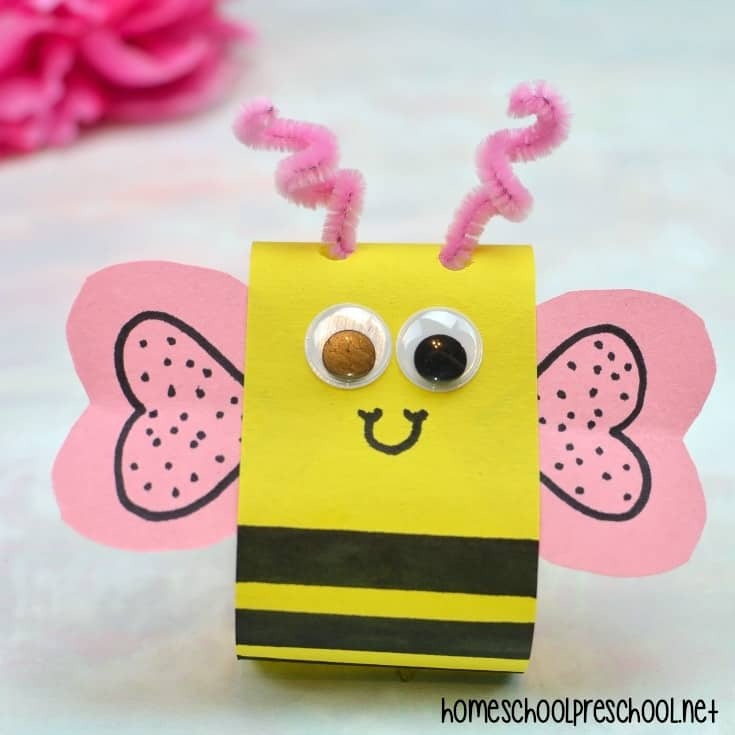 Use a black sharpie to create stripes on the bee’s body. Cut two small pink hearts. Again, decorate them with marker or stickers. Attach the hearts to the back to form wings. Create the antenna the same way you did for the butterfly above. Curl the whole thing around into a look, and secure with tape or glue. Cut out six tiny hearts or use heart-shaped stickers. Affix these to the body of the ladybug to create spots. Finally, secure the whole loop with glue or tap. 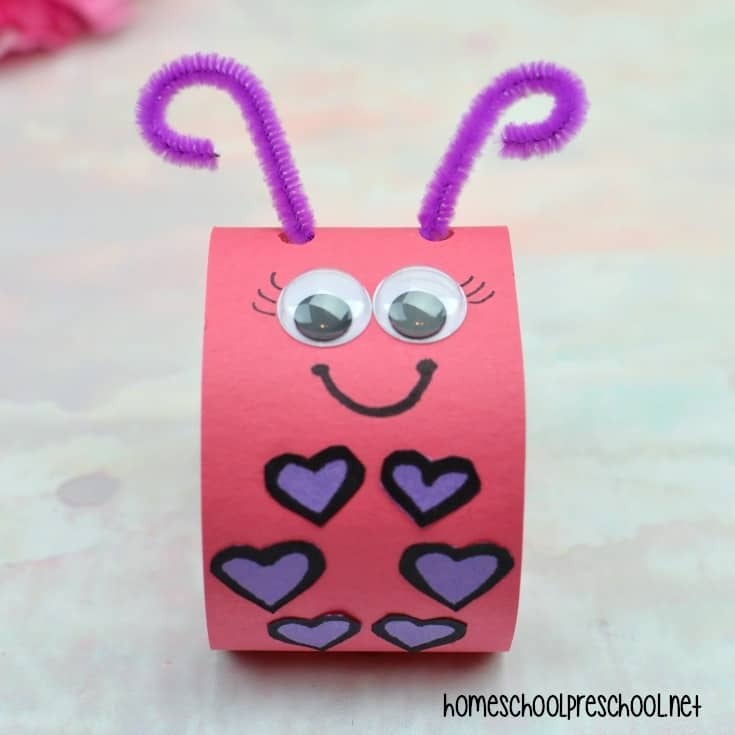 To connect your love bugs, cut 2×2″ strips of white paper. Feed these strips through two bugs and secure loop with tape. Repeat with the rest of your love bugs. I love incorporating the holidays into my homeschool preschool lessons. 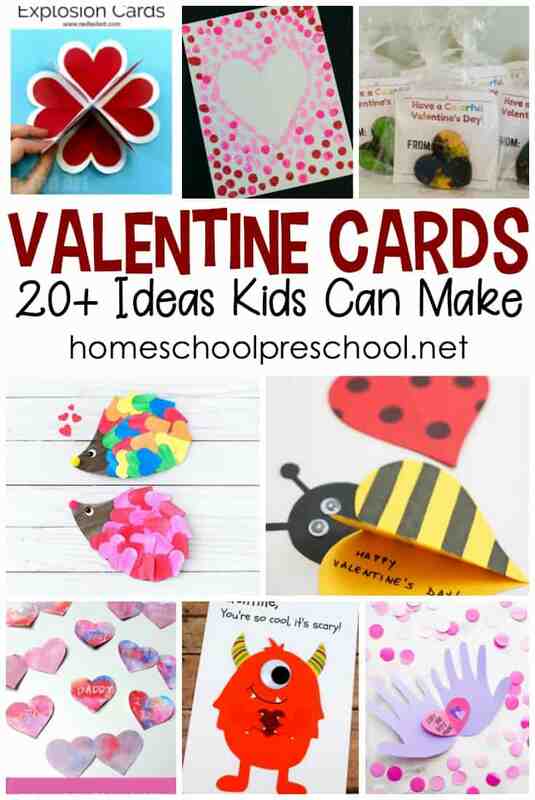 With these Valentine’s Day activities for preschoolers, you’ll be set for the holiday! 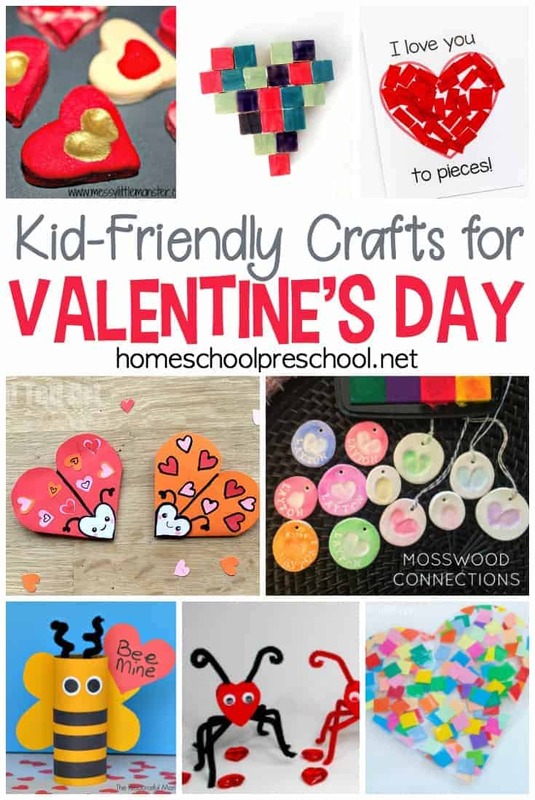 Engage your little ones with one or more of these Valentine’s Day sensory activities for preschoolers and toddlers. Hands-on fun for little ones! Make these with your kids, or present them with a special afternoon snack. Either way, your kids will go nuts for these Valentines Day snack ideas!